Rab Wallpack in bronze color, features die-cast aluminum housing with polyester powder coated finish. This wallpack comes with 400-Watt HID lamp. Lamp with 450-Watt CWA-HPF QT ballast, has voltage rating of 120 - 277-Volts and current rating of 3.5/4-Amps at 120-Volts, 2.0/2.3-Amps at 208-Volts, 1.8/2-Amps at 240-Volts, 1.5/1.8-Amps at 277-Volts. 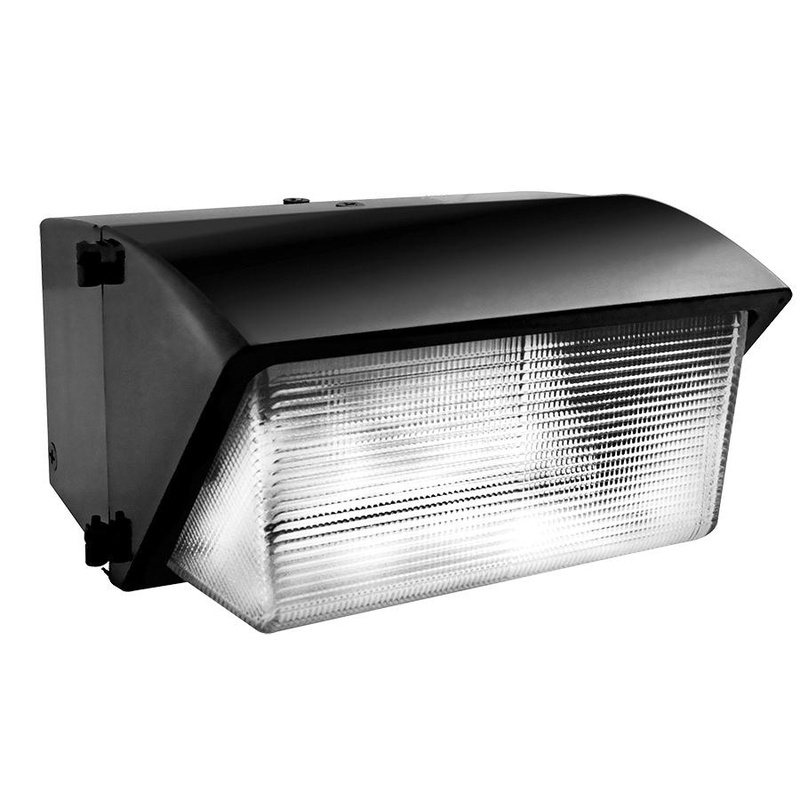 ED28 socket lamp of the wallpack delivers 40000-Lumens of bright light output. Wallpack features specular anodized aluminum reflector for uniform distribution of the light. It measures 17-1/8-Inch x 9-Inch x 13-Inch. This wallpack has average life of 20000 hours. It comes with silicone rubber gasket to seal out the dust. Hinged door frame opens and remains captive for easy relamping. This wallpack is ideal for wet locations. 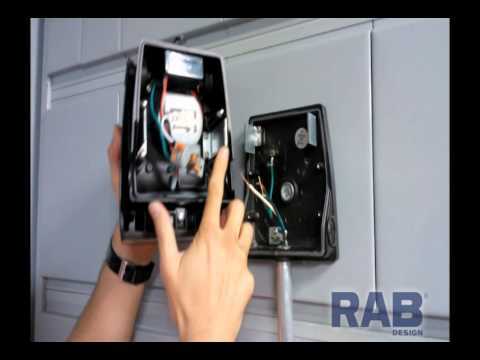 Wall pack is UL listed and EISA 2007 compliant.